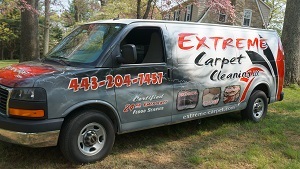 Extreme Carpet Cleaning is a local business in the Baltimore metropolitan area which was established by Shawn Mullikin, as a result of many years of working for other companies in and around the Baltimore area. By watching the methods others had used, I knew full well that we would be a force to be reckoned with. I was sure with the right plan and equipment that we could become one of the leaders in the carpet and textile cleaning trade. Through thoughtful thinking and planning and the help of an important investor, our dreams became reality and the rest is…well…history. So in closing, as our hopes of building a team of the best carpet and textile cleaners in Baltimore, we would love to one day have the opportunity of gaining you as a new client to show you the true method of carpet and textile cleaning done the EXTREME way! Since Extreme Carpet Cleaning began, our strategy has been based on developing long-term relationships with clients. We have achieved this by utilizing the proper knowledge, while implementing the best equipment and only employing certified technicians that have a passion for and take pride in their work. Whether it’s carpet cleaning, rug washing, upholstery cleaning, or any of the many services we provide, our clients turn to us for all their needs.